Wavelet Packet Decomposition (WPD) shows promise as an anti-jamming tool. The WPD is derived from the wavelet transform, which provides a representation of the signal components in a domain spanned by a set of functions that can be seen as band-pass filters with a bandwidth decreasing as their central frequency increases, thus granting a uniform resolution in the decomposition of the signal under analysis. A paper by Luciano Musumeci and Fabio Dovis of Politecnico di Torino and James T. Curran of the Joint European Commission’s Research Center, titled “A Comparative Analysis of Adaptive Notch Filtering and Wavelet Mitigation against Jammers Interference,” won the Best Paper in Session award in GNSS Vulnerabilities and Anti-Jamming at the ION-GNSS+ 2015 conference. The paper compares two interference mitigation techniques at the digital signal processing level for jamming signal removal. The authors compare the traditional adaptive notch filtering scheme, widely discussed in scientific literature, with a new technique based on the use of the WPD. 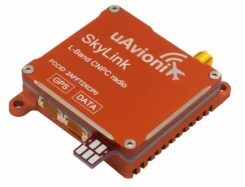 Both techniques are implemented in software, and their performance has been assessed via the use of a fully software GNSS receiver. 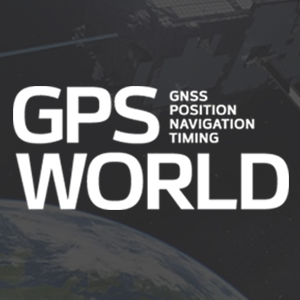 Both techniques are first applied to a set of simulated GNSS jammed scenarios. Preliminary results demonstrate that a significant improvement is achieved at both acquisition and tracking level when the WPD algorithm is employed with respect to the application of the classical adaptive notch filtering. In fact, using the adaptive notch filtering, the effective range of the jamming can be reduced from approximately 474 meters up to 127 meters, while when using the WPD-based algorithm, such a range can be further reduced up to approximately 10 meters. These results are also confirmed by successive test campaigns where performance comparison of both software implemented techniques is assessed considering simulated GNSS data. The WPD-based technique is characterized by a higher computational complexity with respect to the implementation of notch filtering. This is mainly caused by the several filtering operations needed for the time-scale representation computation. Therefore, the number of decomposition stages and the filter length need to be carefully traded off with the jamming detection and removal capability of such a technique. 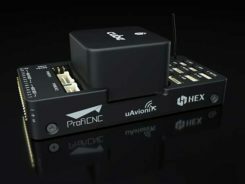 However, the availability of a high-performing processor together with a jamming detection based on spectral estimation can potentially lead to a faster WPD computation for future real-time applications.